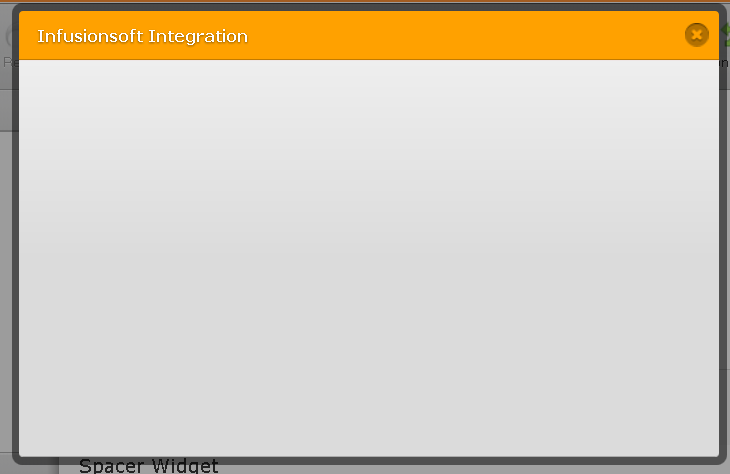 Infusionsoft Integration shows only blank/empty window in the Form Builder? 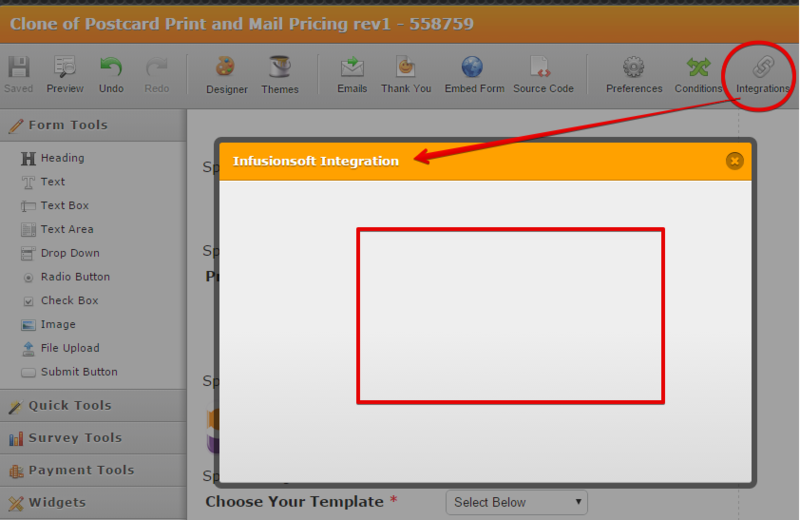 I don't know what's going on but when I click to try to integrate infusionsoft the pop up is blank. Never had this problem before. I have restarted, cleared my cache and browser history and tried in FF, IE and Chrome and get the same blank pop up. This is a really bad time for this to happen. I have a client that is ready to go live tomorrow and up until now, when I need to adjust things, I've got nothing. 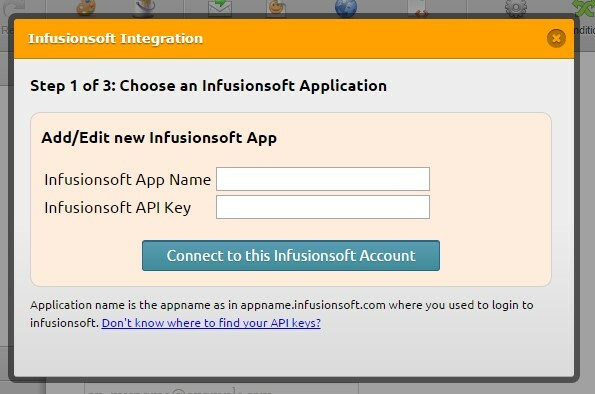 An alternative I suggest you try using at this time is the JotForm Infusionsoft App integration. Click on the Get Now button while in logged in to your account in the Form Builder. Let us know if the alternative method will still not work for you. I will submit a bug ticket report to our higher team support about the issue on the Infusionsoft integration using the Form Builder. We will let you know as soon as we have update on the status of the ticket. Thank you for getting back to me so quickly. No good though. I clicked get now for the app and the pop up came up blank. This ticket is currently assigned to one our developers. 3. Close and re-open your browser. 4. Log back to JotForm. 5. Try the integration again. I will now clear your form cache so that your forms will be refreshed from our servers. 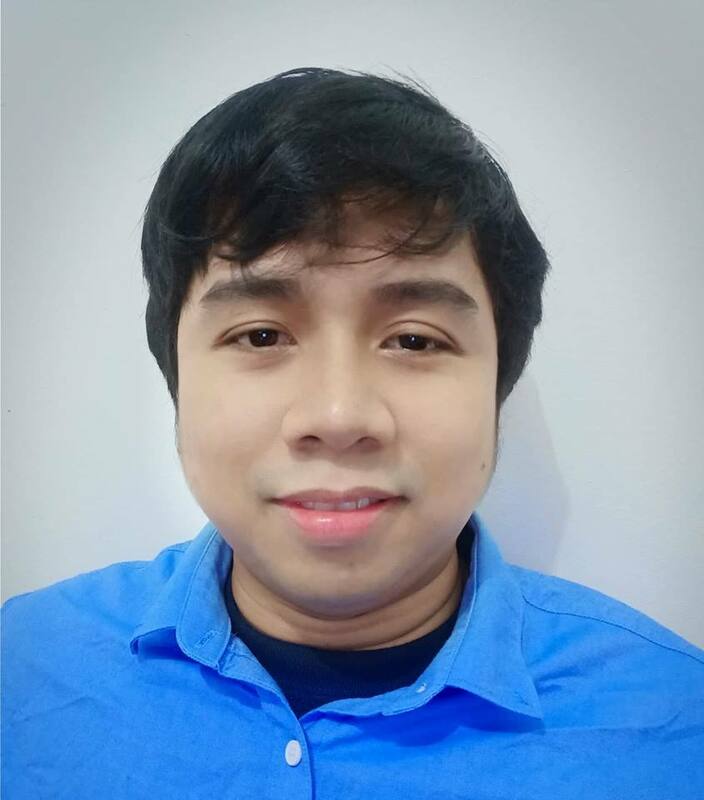 Hope this works, please let us know the result so that we can update our developers. I'm sorry I forgot to share the screenshot. Still no luck. I followed your instructions above and still got the blank screen. For a short time last night I was able to see the integration. When I tried this morning it was blank again. Can you please check on this again. I've checked this using Chrome and was not able to reproduce the issue. Can you let us know which browser are you using when you see the blank screen? Also, can you please check if console errors are showing up when this happen? I see that the ticket has been already assigned to a developer, but it would be great if you can provide this information so we can narrow down the problem. Apologies for the problems you were experiencing with the Infusionsoft app. Our team have been working on a new version of the app which was released today so it should be working correctly now.